Remember when computers and the internet were in the infancy stage? Many people around the world were afraid that these things would result in the violation of many regulations and the loss of countless manual jobs. But we all know nothing like that happened. Of course, some rules and regulations were redefined. Also, professions in many sectors were redesigned, and many more professions were created. And if you see everything from a broader perspective, computers and the internet led to exponential growth of human potential. And the same is happening right now with the introduction of the blockchain and cryptocurrencies. New industry verticals that have never existed in past are being created. And every now and then, numerous new professions are popping up. One such new vertical of this crypto-space is the ICO (Initial Coin Offering). Now, when something new is built or introduced, it has its own challenges and flaws. This is very natural for any new industry that ultimately undergoes many iterations for its betterment. Similarly, the ICO vertical, which has been born out of the crypto-space, is having its own unique challenges. One of the main issues is that many ICOs are nothing more than money-making schemes and scams. But at the same time, the other side of the ICO story is as bright as the new dawn of computers and the internet. The other day I was preparing my smart contract enabled MyEtherWallet to invest a small amount in the CoinDash ICO, but luckily I escaped it and prevented a significant loss. As soon as I went to the website’s ICO page, I noticed that something was wrong with their website. After that, within minutes, their community manager buzzed into the Slack channel that the CoinDash ICO’s official website was hijacked by hackers. The hackers had changed the official smart contract address of the ICO into their own ETH address. This resulted in the draining of $7 million dollars of investor money to a wrong address. An investigation is ongoing, and some even accuse CoinDash to be an inside scam. See here and here for more details on it. Well, no one knows what’s the truth is, but a lot of investors got ripped off. That’s why I thought it would be important for me to discuss the pros and cons of ICOs. What do ICOs bring for their investors and how can we identify scam ICOs? 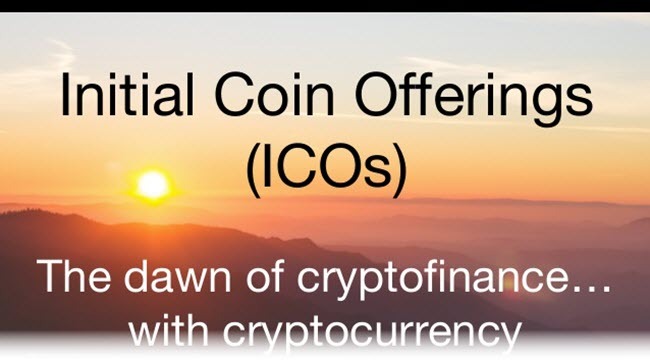 ICO stands for “Initial Coin Offering”. Some even call ICOs “Initial Public Coin Offerings” (aka IPCO). It’s the same. Some of you might be thinking that this sounds similar to IPOs (aka Initial Public Offerings). And yes, it’s true that IPOs and ICOs have some similarities, but not much. 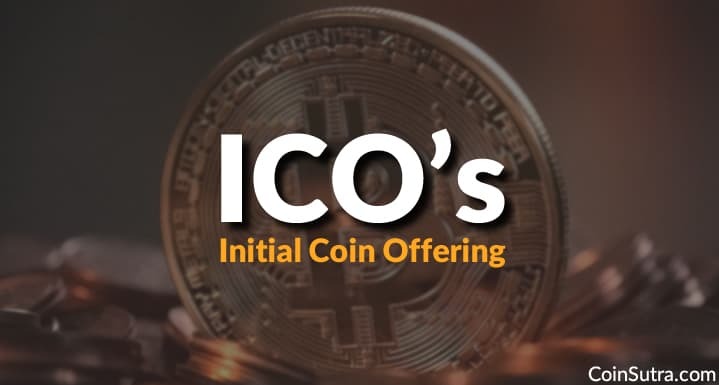 ICOs are a modern way of accumulating funds for kick-starting and developing of new blockchain-based ventures and start-ups. Through ICOs, blockchain start-ups distribute a portion of their new cryptocurrencies (or crypto-tokens) to early concept enthusiasts in exchange for their investment. These funds collected through the ICO act like crowd-funded seed money for the start-ups to develop, market, and promote their proof-of-concept (POC) and/or product. Most of these projects are DApps on the blockchain or protocols. The concept is usually to fuel this DApp or protocol using a cryptocurrency or a token. These blockchain projects are designed in such a way that they will only get fueled from their native cryptocurrency. This means that they will become valuable and indispensable in the future when the demand rises for that DApp or protocol. For more, see our guide on What are DApps? Step 1– The project/cryptocurrency/DApp announces themselves on the Bitcoin talk forum under the altcoins section. Information such as the official website, the whitepaper, their roadmap, development and marketing teams, experience, etc. is also revealed here. Step 2– When sufficient hype is built in the market about their proof of concept, then their ICOs are announced on the Bitcoin forum. From there on, they dissipate the information regarding the ICO and lure the attention of early investors. Information such as ICO timelines, what portion of the total supply of crypto-coins they are going to sell in the ICO, how much percentage is going in for development and marketing, the currency in which an investor can invest, etc. is shared at this stage. Step 3– Once the ICO is over, the project gets started. The token or crypto is now listed on major exchanges. Most of the projects allow its investors to trade their cryptocurrency at this stage. From here, the market cap of the currency keeps on fluctuating in the proportion of market confidence and on how much people value the application or protocol. So far, the ICO thing is working out well and has become a thriving market of 800 cryptocurrencies. But it’s quite intriguing how this small concept of crowdfunding has been magnified in an unprecedented manner by the introduction of ICOs. So let’s dwell a bit in its history. In August 2013, MaterCoin was the very first ICO of the crypto-space. After they had announced themselves on the Bitcoin form, they ended up collecting $600K USD in bitcoins. After that, in June 2014, Ethereum became the second ICO to be held in this space. The Ethereum platform started with its ICO in 2014 where it collected 31.5K BTC (bitcoins) in exchange of Ether (ETH). This was equivalent to $18.4 million USD at the time. I think there is something for all of us in such ICOs. And I also believe that some of you are reading this because you are a cryptocurrency or a blockchain enthusiast who is interested in participating in ICOs. So, if you look closely in line with Ethereum’s example, you will be surprised to know how much early investors have profited from their investment. At the time of the Ethereum ICO, 1 BTC (average worth of $500) was exchanged for 2000 ETH. So these 2000 ETH in 2014 (for an average worth of $500) are now worth more than $445K. This is a percentage increase of +88,000%, which is humungous. Moreover, this ICO didn’t require you to undergo any sort of complicated ID or background verifications checks, it didn’t care from which country you came, and it didn’t care which color you were. Nothing really mattered. Anyone who had this early information, an internet connection, and some BTCs could have become part of this early investment. This is what democratic and decentralized venture capitalization for modern day start-ups looks like. Before ICOs, only early investors and enthusiasts who had sufficient funds could invest in such start-ups, keeping a large part of the world economy out of the game. Now with ICOs, anyone from any part of the world with an internet connection can invest as little as $50 (sometimes even less) in such start-ups through cryptocurrencies. After reading this, you might be thinking that you have found an easy money-making scheme, but believe me, there is no such thing as easy or free money. And needless to say, this democratization and decentralization bring its own challenges and flaws. As these ICOs are highly unregulated and different from traditional IPOs, they can also be highly risky. 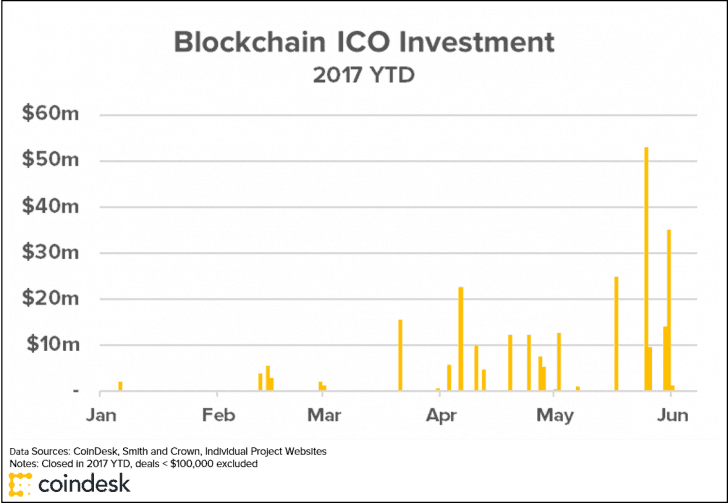 It is true that ICOs bring money-making opportunity for investors. But there are many challenges to face when identifying which ICOs to invest in. Some ICOs only exist on a whitepaper, not in real life. Some ICOs are done for the sole purpose of luring money from investors that later gets dumped into major coins like BTC/ETH to make profits for themselves. All ICOs are unregulated and unbacked by governmental laws. Most cryptocurrencies or tokens issued in an ICO have no proper wallets/storage mechanism. Some ICOs have very shady or non-transparent ways of working. Some ICOs issue 100% pre-mined tokens or cryptocurrencies. A significant portion of these tokens the owners hold to manipulate the market. One is such example is Bytecoin which had 82% pre-mined coins. Some of these ICOs have good proof of concept but lack a solid delivery team. But I’m not trying to demotivate you! Some ICOs or blockchain-based projects are real gems. If you are able to keep yourself updated and assess an ICO well, then you can surely get yourself a slice of such gem pies. Stay Updated – The first and foremost thing in this space is being updated and agile. Join the Bitcoin talk forum or follow popular news sites on cryptos and DApps. Once you get to know about a new blockchain project, join their Slack or Telegram channel for specific ICO details. Also, follow them on Twitter and other social media sites. Select a Wallet – Thoroughly read the ICO details and other technical requirements like which wallet should be used for the ICO. Most ICOs launched on Ethereum’s blockchain require you to use smart contract enabled wallets where you can vary your gas limit and gas price. You also need to check which currency they are accepting for the ICO (BTC, ETH, USD, etc.). Top-up Your Wallet – Now, once you have identified a suitable wallet, top-up your wallet with the amount you wish to invest. If the ICO supported currency is BTC, then top-up your wallet at least one day before with enough mining fees, otherwise at the time of ICO, you will have nothing to invest. This might happen because BTC transactions take hours (sometimes days) to get confirmed because of the blockchain’s congestion. ETH top-up happens with seconds/minutes, but sometimes if an ICO is already going on Ethereum’s blockchain, then it can take up to 3 hours. Time Factor – Different ICOs list different timings according to various time zones. Check your time zone and be on time. Some ICOs in the past have finished in less than a few minutes, so you have to be really quick and punctual. Fun fact – Gnosis’s ICO got over in less than 15 minutes. As I told you before, ICO’s are a great way for investors to earn money. But it has to be done right. If it goes wrong, then you could lose all your money in one shot. Not all ICO’s are worth tracking. Some ICO’s are just scams which only look good on paper. So before investing, do your due diligence. Check whether the project is solving some real-life problem. Check if they have a strong leader or CEO or founder. Check the portfolio and history of the development team. Check the background of the team; see if any one of them is connected to any past scam. Check the whitepaper and look at its technical feasibility. Check if they have an open and transparent community. Evaluate if they can explain the problem they are solving in a clear manner in the whitepaper. Join forums to check what the technical experts think about the project or DApp. Check if they have a working prototype demo of the projector DApp. Some people get in trouble if they don’t do a good analysis. That’s why we suggest you do your research and due diligence before getting into any ICO. Which is better: IPO or ICO? Let’s explore some of the differences between an IPO and an ICO. This is highly unregulated. This is well regulated. There is no government backing. There is government backing. There is no legal agreement or documentation involved in it. There is legal agreement or documentation involved in it. If fraud happens, your funds are gone. If fraud happens, investors will get some protection. Anyone from anywhere of any nationality can participate. Anyone from anywhere of any nationality cannot participate. So the short answer is IPOs and ICOs function in completely different ways. There is less protection in an ICO, but it’s open to anyone anywhere. IPOs are much more selective, but they are relatively safe. It all depends on which game you want to play. The key is to learn the rules of the game and play accordingly. ICO is the way, they say. There is no doubt that ICOs are an excellent way of generating initial seed funds for kick-starting a start-up from anywhere in the world. And it is also a modern way of raising venture capital as an alternative to traditional venture capitalization of projects. ICOs are also a good way of finding and investing in the future tech infrastructure of the world. And I don’t see anything wrong in doing so, as you are contributing to the building of a product, and in return, you are getting your fair share of that project. But as I said before, you need to be updated and agile if you want to do so. And definitely, some ICOs or blockchain projects are here to stay for the long term because they are genuinely solving some of the key problems of the world. Lastly, like the advent of the computer and the internet, this new crypto industry of ICOs has a bright future. It will definitely become more mature and secure with proper regulations (which are being discussed). So, I hope that this article has been interesting and informative. Let me know what you think about ICOs. Have you ever participated in one? Do you know of one coming up that looks interesting? Do leave any comments and questions you might have in the comments. I look forward to hearing from you! 2 What is in it for you? Glad to know that you liked it. And thanks it is a very good question. Mostly “not-yet-issued” tokens refer to all pre-mined tokens that are locked in for some time and not available for sale. Most ICOs are happening on Ethereum i.e. ERC20 it is basically a smart contract so whatever one writes into the smart contract can happen. IF they have deliberately/functionally left a way out to create more tokens then yes they can create more tokens simply by interacting with the parent contract via an another smart contract. See this conversation. So Ethereum uses a Turing complete language which can be used to write any type of contracts so one can increase/decrease supply that’s why it’s important to get thorough knowledge about the ICO one is participating. But one can’t change supply on its whims if someone does so people will already lose confidence on their projects. Another angle is if they write it in the smart contract that the supply is fixed then it can’t be changed by interacting with another smart contract. For example, let suppose in the code itself it is written after issuing X number of tokens this maximum supply of Y can’t be changed then it can’t be. So as token holder you only need to know what is there monetary/economic policy so if they say no “more tokens will ever be created” it means it written in the code. In short, one can do whatever they want depending on how the smart contract is written for ERC-20. Read this, this and this for more info. An ICO is a fundraising tool that trades future cryptocoins in exchange for cryptocurrencies of immediate, liquid value. You give the ICO bitcoin or ethereum, and you get some of New Super Great Coin. Currently, Bitcoin Blockchain doesn’t support development of such ICOs or DApps directly. Thanks for reaching out. Reviewing an ICO takes a considerable time and we have not analyzed this ICO yet irrespective of whatever the TA says. Another thing about this ICO is that they are 12 % pre-mine. I personally avoid such. Pre-mine is mining software tokens instantly before the actual mining of coins. This is a very good guide for invetors to that will like to leverage making money by inveting in ICOs.